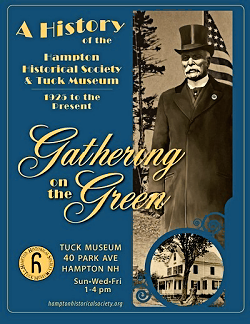 In 2015 the Hampton Historical Society turns 90 years old, and to observe the milestone we are opening an exciting new exhibit, Gathering on the Green: A History of the Hampton Historical Society and Tuck Museum from 1925 to the Present. 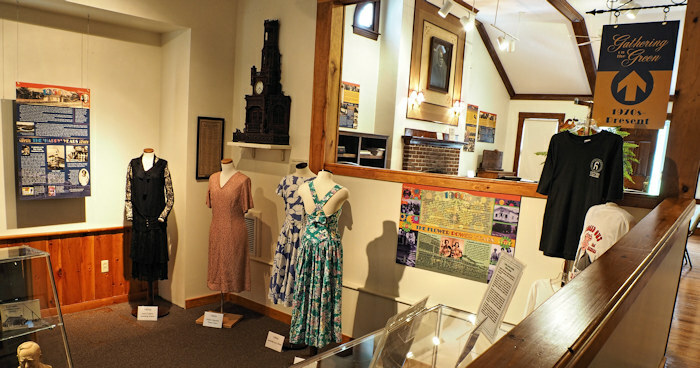 The multi-room, decade-by-decade exhibit, featuring rarely-seen photos and objects from the archives, tells the story of the Society, from its founding in 1925 to the present, with highlights of town, beach, and national events. Learn how a society of inspired volunteers evolved from “one man with an idea,” through early struggles and triumphs, later successes and failures, to a well-run, financially sound organization ready for the challenges of the 21st century. 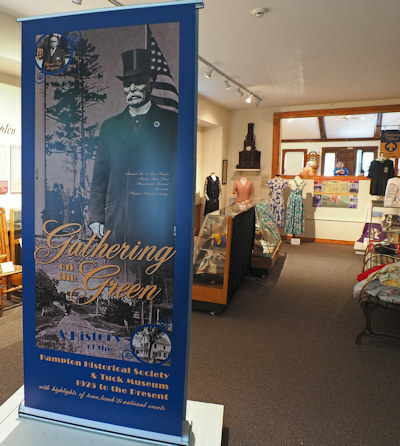 Scroll down to see some pictures of the exhibit in place at the museum. 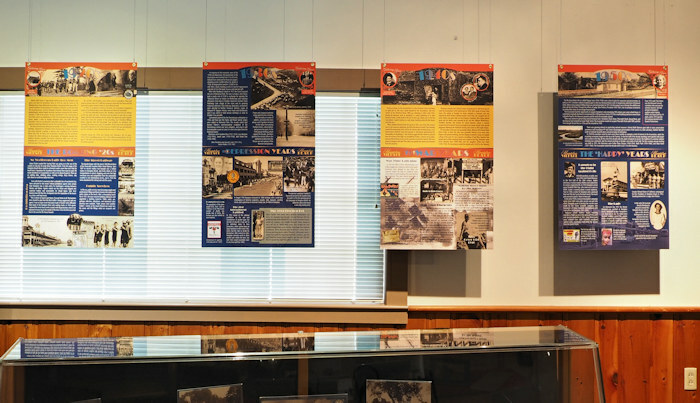 You can read the info contained in this exhibit in a web-friendly format by clicking a decade banner below (as with the exhibit itself, the information is sectionalized into decades, from the 1920s thru the current day). The final banner brings you to a page with a list of all HHS volunteers over the 90 years. You can view and download a PDF version of these web-format pages for off-line viewing here.